Speaker, Benue State House of Assembly, Mr Terkimbi Ikyange, has said that the granting of financial autonomy to the State Houses of Assembly by the APC led federal government will deepen democracy and enhance good governance across the country. Mr Ikyange made this assertion while reacting to the presidential assent to the Constitution Amendment Forth alteration bill which grants financial autonomy to all the State Houses of Assembly. According to him granting financial independence to the State Legislative Houses will not only lead to the growth and development of the Legislature but will also bring about effective oversight which will translate to good governance. The Speaker noted with gratitude that with this development the various State Assemblies will have more funds to aggressively improve the capacity of their Legislators and staff through regular trainings, seminars and workshops. Mr Ikyange averred that the decision of the federal government to grant autonomy to State Houses of Assembly is timely more so that it coincided with the passage of the Benue State House of Assembly Service Commission bill which aims at granting Administrative Autonomy to the Assembly. 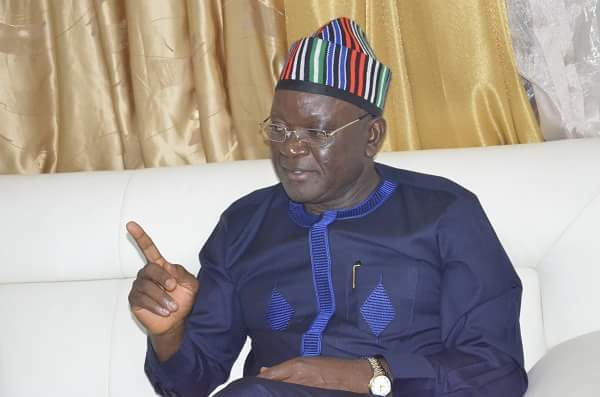 He commended governor Samuel Ortom and other State governors for the tremendous support they have accorded their State Legislatures saying the institution of the Legislature in Nigeria will forever remain grateful to the APC led government. While assuring that the Benue State House of Assembly will take advantage of this autonomy to ensure robust legislative activities that would engender good governance, Mr Ikyange appreciated the Leadership of the National Assembly and Conference of Speakers of State Houses of Assembly for the various roles they played in actualising the autonomy.